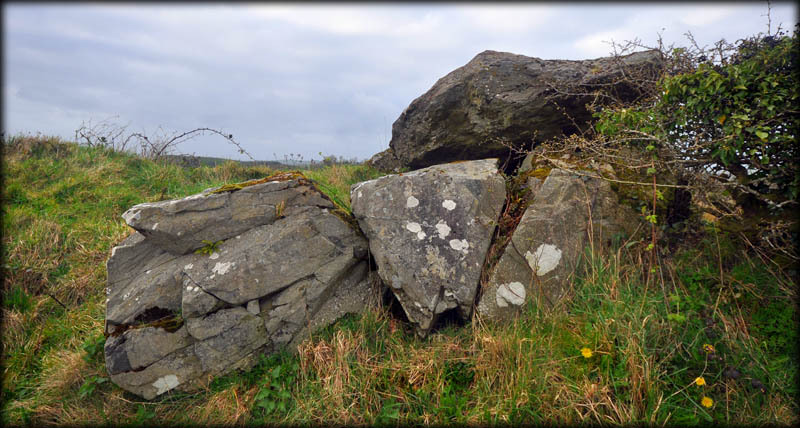 Incorporated into a field bank on the north side of a by-road, 3 kilometres NNW of Rockcorry, are the remains of a court tomb. 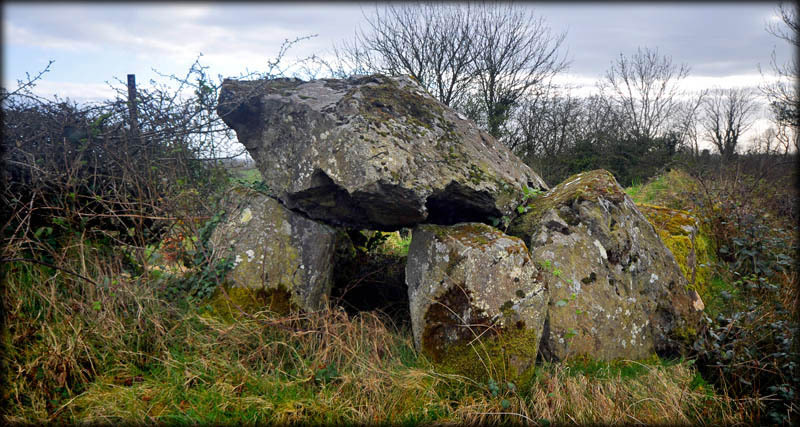 They consist of a roofstone/lintel surmounted on two jambs, and several large boulders, on the north and south sides, of a 7 metre long gallery. The image above was taken from the court looking into and along the northern side of the gallery. The pic below shows the south side of the gallery from the roadway. The stones that formed the arc of the court are now missing. 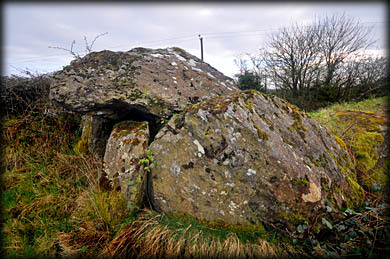 A fine example of an almost complete court tomb at Creevykeel, Sligo, can be viewed here. 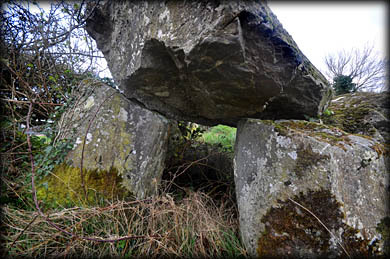 Three of the stones that remain from the south side of the gallery. Situated: From Rockcorry head west on the R188 for 3 klms then take a right turn. Go 2K before take a severe left turn. The court tomb is on the north side just beyond the graveyard 500 metres down this road. Discovery Map: 28. H 6132 1959. Last visit Mar 2019.